Wardrobing is a form of theft in which a person engages in transactions that typically involve prom, wedding, or other dresses or garments where the individual purchases, alters, and then ultimately uses the item for a special occasion or event with the intent to return it for a full refund. In most cases, the person engaging in this type of transaction will claim that the reason for the return of the merchandise is due to it containing some sort of flaw. When you consider that Wardrobing costs a retailer more than simply the use of the garment, theft of this nature can be very costly to the retailer. Keep in mind that the retailer’s time and effort to make the sale, and finalize possible alterations along with special ordering make Wardrobing a serious problem to a retailer of any size. The solution to this problem is the use of an Alpha Shark Tag. This product creates a deterrent by placing the Shark Tag in a very visible spot such as the bustline of the dress or garment. Returns are accepted as long as the Shark tag is in place. Once the customer removes it your store’s policy can prohibit the return of the merchandise. Shark Tags are quite inexpensive and are also easily removable by the customer with a pair of scissors. They cause absolutely no damage to the merchandise. Shark Tags are not only ideal to physical store locations, but also to online retailers who send their merchandise out and face the same Wardrobing issue of any other retailers. LPSI (Loss Prevention Systems) is a leading nationwide supplier around the U. S. regarding Alpha High Theft Solutions products and Checkpoint Solutions. We have got countrywide customers, resources, along with consulting. 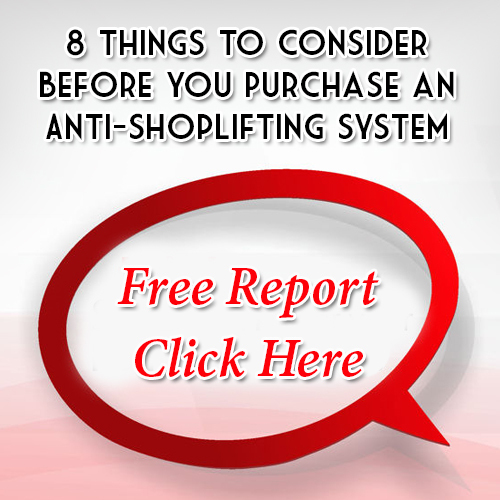 Loss Prevention Systems delivers more than shoplifting products. Our experience in retail theft prevention allows LPSI to deliver valuable guidance and methods. Prevent Theft Today with LPSI, Checkpoint, and Alpha Systems products. For additional details on Alpha Shark Tags, call 1(866)914-2567 right away!